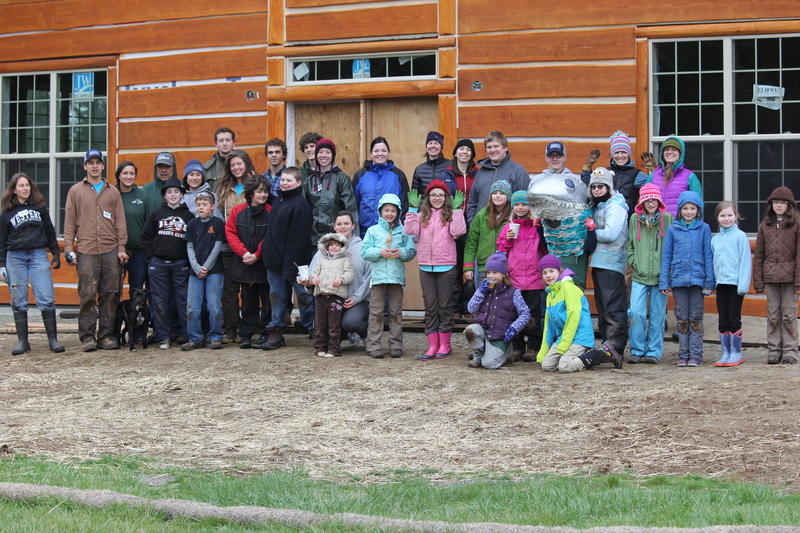 On Saturday March 22nd, a group of 37 community volunteers gathered at Birch Bay State Park to give their time and plant native trees and shrubs along Terrell Creek. 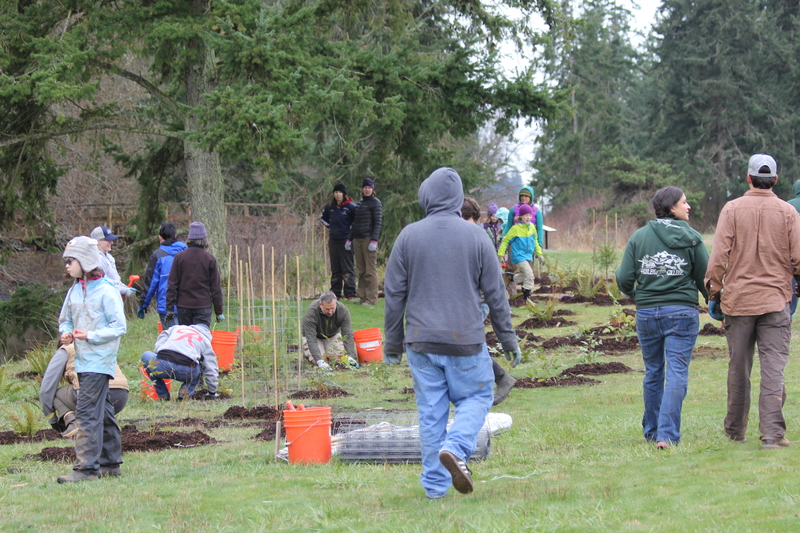 The volunteers planted 183 native trees and shrubs behind the future BP Heron Center at Birch Bay State Park. 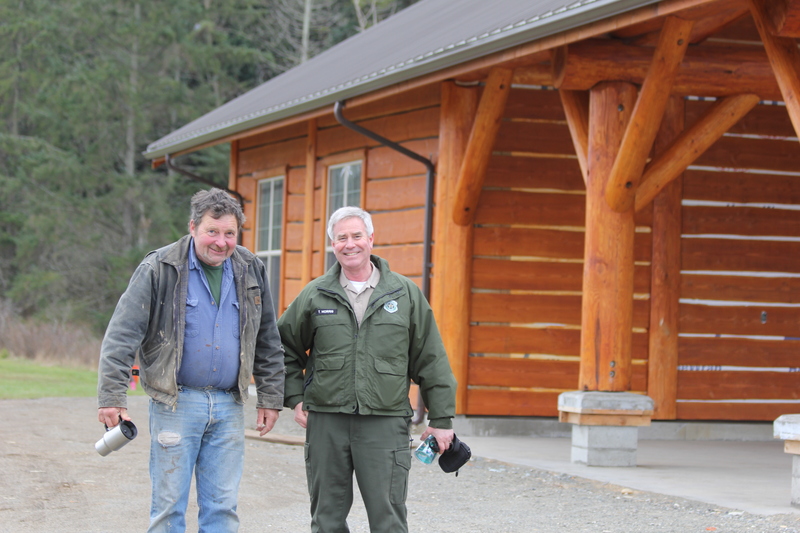 Although a new site for us, NSEA has been working on improving salmon habitat in the Terrell watershed for many years Terrell Creek originates from Lake Terrell and flows out to Birch Bay passing through agricultural and developed lands. Improving riparian habitat helps salmon and the ecosystem as a whole in several ways. Increased shading over creeks keeps water temperatures cooler, which salmon are best adapted to. The roots hold together the soil, decreasing erosion and turbidity in the water. Plants slow down the overland flow of water and runoff, reducing pollution in the waterways and increasing groundwater recharge. As restoration continues in the Terrell watershed, we hope that individual projects will meet up, creating a healthy riparian corridor with improved habitat for salmon and all the other organisms sharing the riparian zone. NSEA will be holding another work party this spring in the Terrell Creek watershed, on April 12th. This entry was posted in Birch Bay Community. Bookmark the permalink.